The Master of Horticultural Science Distance Education is a non-thesis degree designed to provide students with an in-depth understanding of horticultural science and practices. This degree encompasses a broad range of topics including fruits, vegetables, nursery and floriculture crops and cross-commodity areas such as plant breeding, weed science, urban horticulture, sustainable agriculture, postharvest physiology and landscape design. 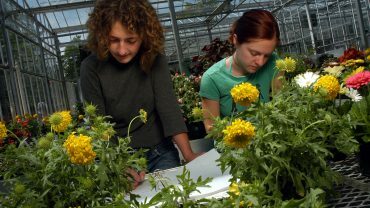 To be admitted to the Master of Horticultural Science program, you must have an undergraduate degree from an accredited institution. The GRE test is required. Please visit the department web site for current admission requirements. This master's degree requires 36 credit hours. At 2018-19 tuition rates, the cost of the required courses is $453 per credit for North Carolina residents and $1,261 per credit for non-residents. Thus, the total estimated cost for the 36-credit program is $16,308 for North Carolina residents and $45,396 for non-residents. See Online and Distance Education Tuition and Fees for cost details. 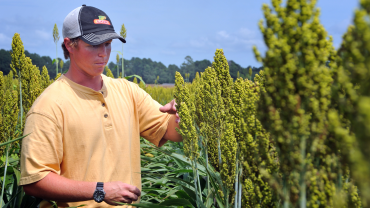 The Master of Horticultural Science Degree requires 36 credits hours of approved courses. Please visit the department web site for current curriculum information. Below is a partial list of applicable courses offered online. Please note that not all courses are offered every semester, and may be cancelled due to low student enrollment. Principles and commercial practices for producing floral potted crops and cut flowers emphasizing the physical responses of plants to their environment and post-harvest physiology. Lab will be conducted at the student's home location and students will document plant growth with photos or video. Some live plants will be mailed to the student; however, the student will be required to purchase some plants [e.g. African violet]. Course is restricted to graduates students only. The purpose of this course is to familiarize the students with the professional presentation skills they need to be successful. These skills include speaking, writing, poster and website development, based on the student's proposed research/project and literature review. A brief introduction to various aspects of metabolism in plants including the basic biochemical processes including the syntheses, utilization and roles of amino acids, lipids, carbohydrates and secondary metabolites in plant growth, development and response to the environment. This course is taught as a 5-week mini course.. 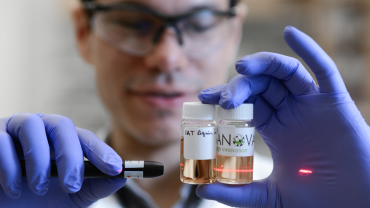 Examination of physiological basis of flowering in plants such as: floral initiation, transition to reproductive growth; floral development; plant response to light, temperature, nutrition, water supply; plant age; chemical growth regulation and in vitro flowering. Taught first five weeks of fall semester. Drop date is by last day of 3rd week of minicourse. Weed management systems including integration of cultural, biological, mechanical and chemical methods for vegetables, fruits, ornamentals, turf, small grains, corn, tobacco, cotton, peanuts, aquatic and non-cropland settings. Taught second 5 weeksof semester. Drop date is by last day of 3rd week of minicourse.